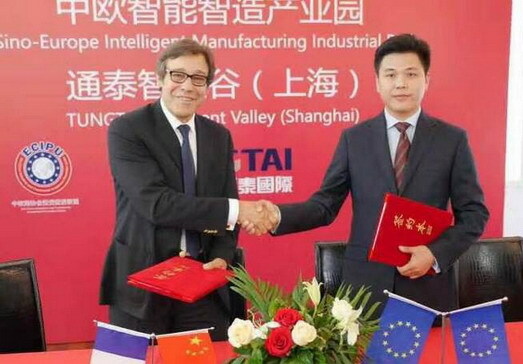 On July.20, 2016, the Unveiling and Signing Ceremony of Sino-Europe Intelligent Manufacturing Industrial Park – Tung Tai Intelligent Vally (Shanghai) was successfully held in DPARK Foreign-related Economic, Innovative & Culture Park. 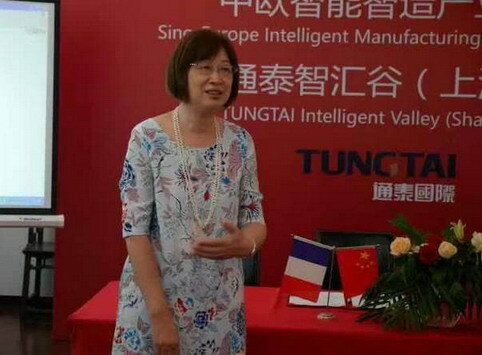 Tung Tai International Holding Group Limited signed a cooperation agreement with DPARK, to formally operate Tungtai Intelligent Vally (Shanghai) jointly. Both sides will integrate advantage resources, teams, projects and patterns, give full play to the joint committee mechanism of « sustainable development of towns and industries in China and Europe « , and boost DPARK towards a higher level of sustainable development. 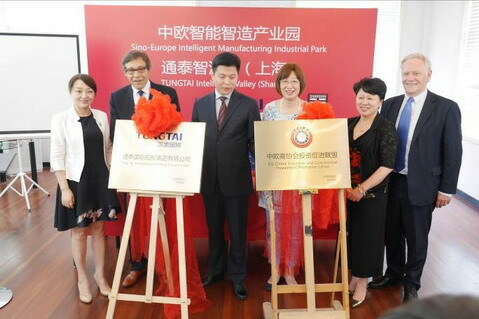 Madam Liang Dan, Chairman of Eu-China Industrial and Commercial Investment Promotion Union, Chairman of United Nations Maritime-Continental Silk Road Cities Alliance, highly affirmed the ecosystem model « platform + project + talent + foundation + base“ of Sino-Europe Intelligent Manufacturing Industrial Park; highly evaluated that Dpark is a high-quality park, is the important window for the international exchange in Yangpu District, plays a role model for the exchange and development of small and medium enterprises. 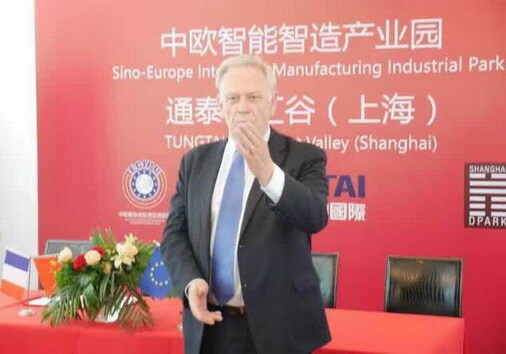 Mr. Saintignon, the first deputy mayor of Lille, France, expressed strong support on the two-way interaction “Going out and bringing in” between France and China, and expressed that he hopes the urban cooperation with Yangpu District will start from the riverside project. As the sponsor and partner of the event, DPARK invited Mr. Saintignon, the first deputy mayor of Lille, France, and the Chinese and foreign representatives from international organizations, government departments, financial institutions, industrial parks, business associations, enterprises, such as the biggest French incubator Euratechnologies Park, Credit Industriel & Commercial, Shanghai Municipal Commission of Economy and Informatization, Commission of Commerce of Yangpu District, Foreign Affairs Office of Yangpu District, China Energy Fund Committee, China CEFC Energy Company Limited, IBM, and so on, to attend the event.